Have You Been Ticketed for Running a Stop Sign in Florida? Receive a Ticket For Running Through a Stop Sign in Florida? In Florida, one of the most common traffic offenses is Stop Sign Violations, which is included as a Controlled Traffic Device offense. Stop sign laws state that to avoid a ticket for running a stop sign, you must bring your vehicle to a complete stop, wait a full two seconds, make the motion to look both ways, and then proceed forward. In many cases, the line at which drivers must stop is a couple of yards short of the actual intersection. In these cases, drivers must come to a complete stop at the line, creep forward to check left and right, and then proceed through the intersection. However, many drivers end up treating these stop signs like ‘yield’, ‘pause’ or ‘hesitation’ signs which can rightfully result in a traffic citation. If you’re ever issued a traffic citation, be sure to seek legal representation that can help you fight the ticket. The Orlando traffic offense lawyers at The Umansky Law Firm can fight the ticket on your behalf and help ensure that you aren’t subjected to the associated penalties. Getting a stop sign ticket in Florida can be costly, and most of the time, they are a complete annoyance. The fine for stop sign violations can be anywhere from $50.00 to $200.00. If you happen to have run a stop sign in a construction or school zone, the fine could possibly be doubled. You can also receive up to 2 points against your license for running a stop sign. This can put your license at risk and your car insurance premiums can be affected as well. There are some cases where jail time may be a possibility if your actions result in a pedestrian and/or car accident. It is for this reason why you should waste little time in securing legal representation after your traffic violation, regardless of its perceived severity. Your attorney can analyze the facts of your case and make you aware of the most favorable ensuing actions. Just because you received a ticket for running a stop sign does not mean you’re guilty. Orlando is notorious for pedestrian accidents and unsafe roads. A knowledgeable traffic offense attorney can help you prepare your defense by explaining what might happen and helping you get penalties reduced or even dismissed. Receiving a ticket for a stop sign violation can be easily avoided by simply using caution when approaching a stop sign. It does not take long to bring your car to a stop and wait your turn to cross an intersection. However, if you do find yourself with a traffic ticket for failing to come to a complete stop, please call an experienced traffic ticket attorney at The Umansky Law Firm. The team of traffic offense attorneys at The Umansky Law Firm have over 100 years of combined experience and are aware of the potential penalties for disobeying the traffic signal. 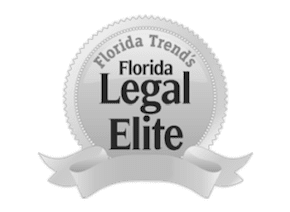 Our founder Bill Umansky has polished his skills as a law man by serving as Florida’s Assistant State Attorney and the City of Orlando’s Prosecutor. Bring your traffic violation to us and discover how we can help keep points off of your license and your driving record clean. Contact us today at 407-228-3838 for a free case evaluation.